In times of globalisation, animals have become 'export goods'. 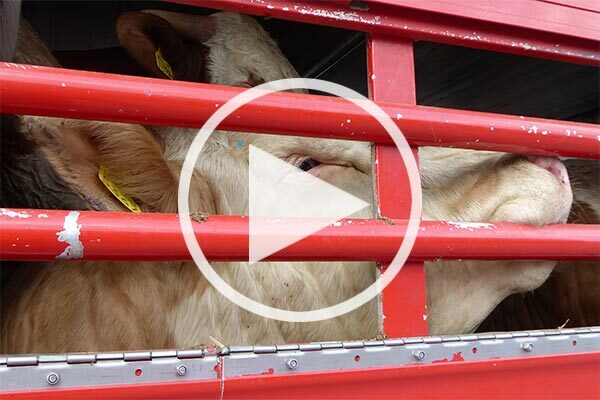 Every day, they are exported from the EU to non-EU countries: for breeding, fattening or directly for slaughter – by truck, ferry, ship or even plane. 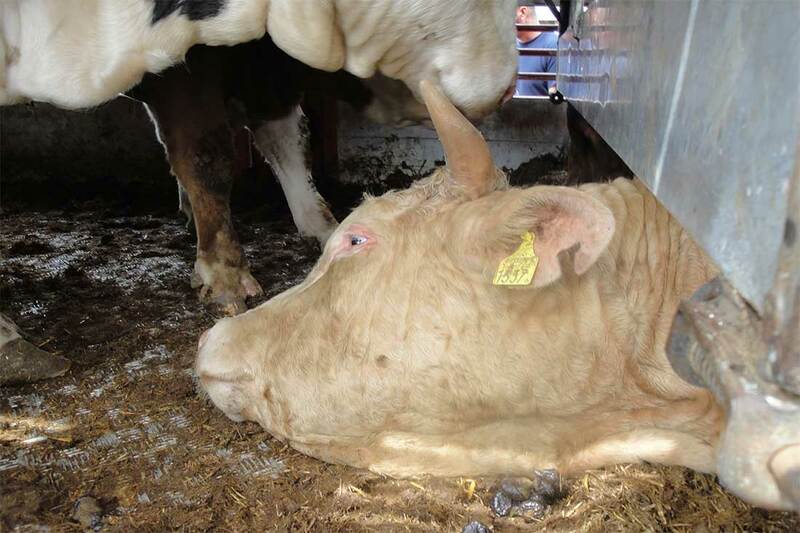 The animals suffer enormously from the extremely long transport times and unacceptable conditions. As soon as they cross the EU's external border, they are at the mercy of their fate. Because in the destination countries in Asia, North Africa or the Middle East, they are usually not protected by law. That is why Animals' Angels is calling for a ban of EU live exports. What are the Animals Suffering From? The legally permitted transport times are significantly exceeded on a regular basis. There are often very long waiting times at the EU's external borders and customs ports. Outside the EU there are no suitable supply and control posts. The statutory rest, watering and feeding breaks are largely ignored. Transport planning is often sloppy, incomplete and inadequate. It often ends at the EU's external border. There are no suitable emergency plans for quickly and effectively helping the animals. The EU authorities approve exports despite poor planning and obvious animal welfare violations (exceeded loading densities, insufficient ceiling height, etc.). Outside the EU borders, animal transport inspections do not take place. During transport, the animals are often inadequately supplied for, e.g. empty water tanks, no food on board. Exports also take place in the hot summer months with temperatures above 40 °C, or during sub-zero temperatures in winter. They suffer from thirst, hunger and exhaustion. 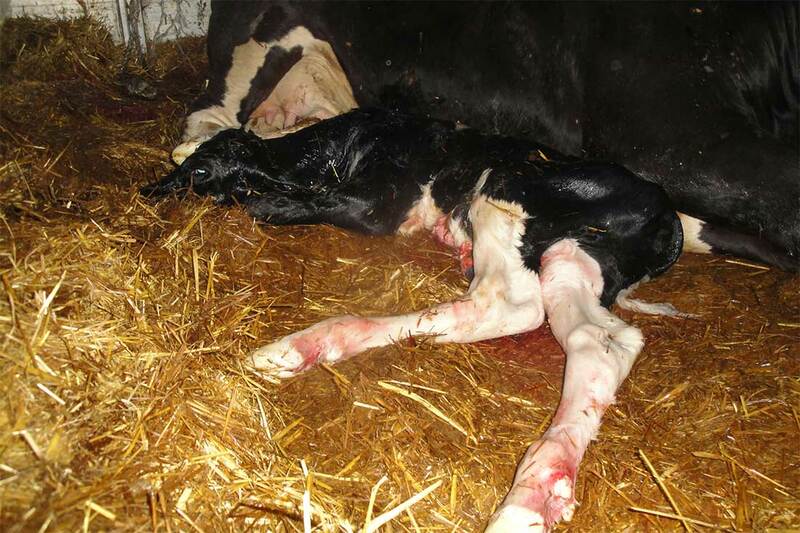 Sick and injured animals are often not helped for days. 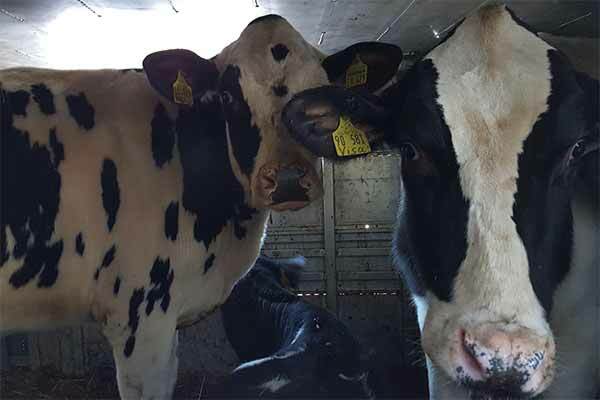 When a transports is stuck at a border, the animals often have to wait for days on end in the truck: locked up in a confined space without the possibility of being unloaded. They have to stand in their own excrements for thousands of kilometres, and the ammonia stench irritates their respiratory tracts. Some of them are transported being pregnant and give birth to their offspring along the way. 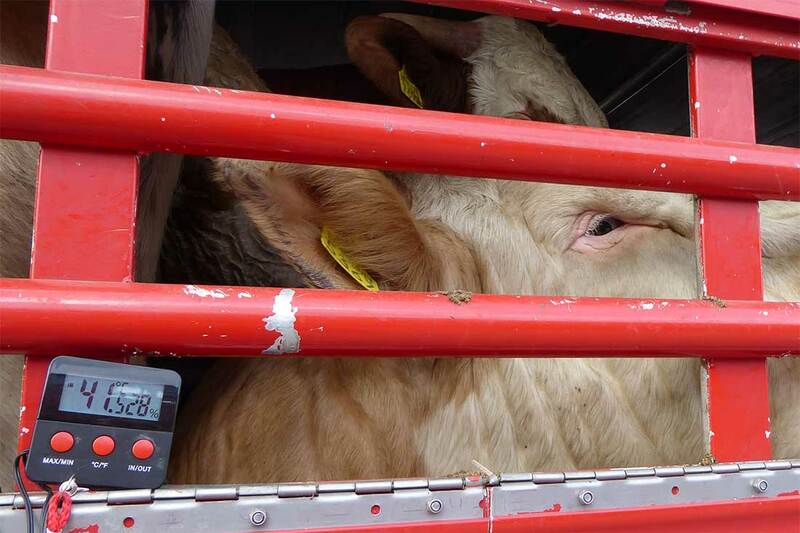 The longer the transport, the more the animals suffer. 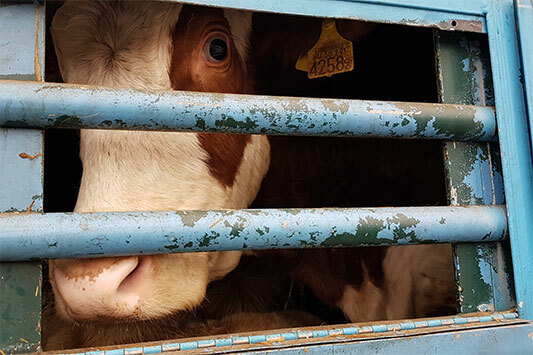 The lower the financial 'value' of the animals, the worse the transport conditions. 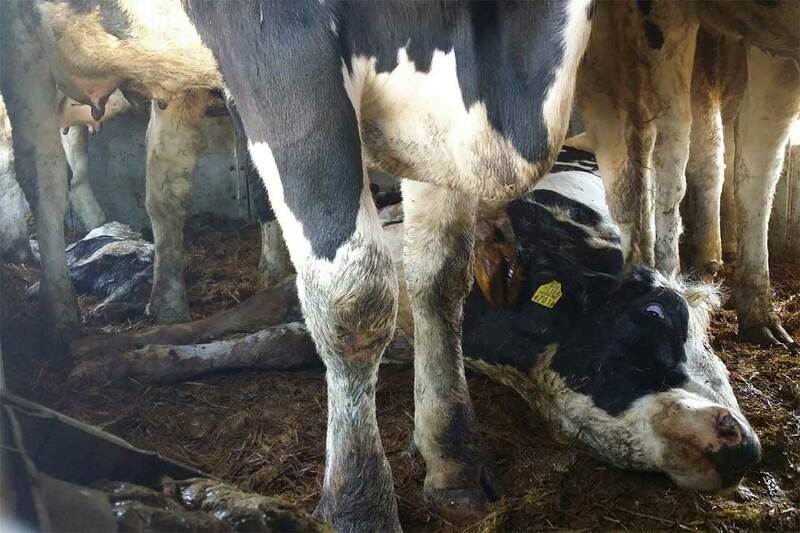 Exhaustion: The cow Helmi from Estonia just gave birth to a calf during transport to Turkey and lies exhausted on the ground. 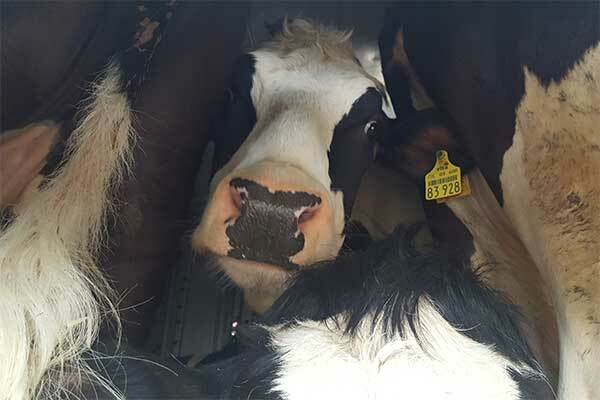 Birth: On the way to Turkey, a cow gave birth to a calf in the middle of transport. Injury: Claude has an open leg wound. On the long journey to Turkey he cannot be adequately treated. Heat: In the summer months, temperatures can reach peak values and far exceed the requirements. The animals suffer in the vehicles – usually without water. Heat: During the summer months, the animals visibly suffer from the high temperatures in the vehicles. 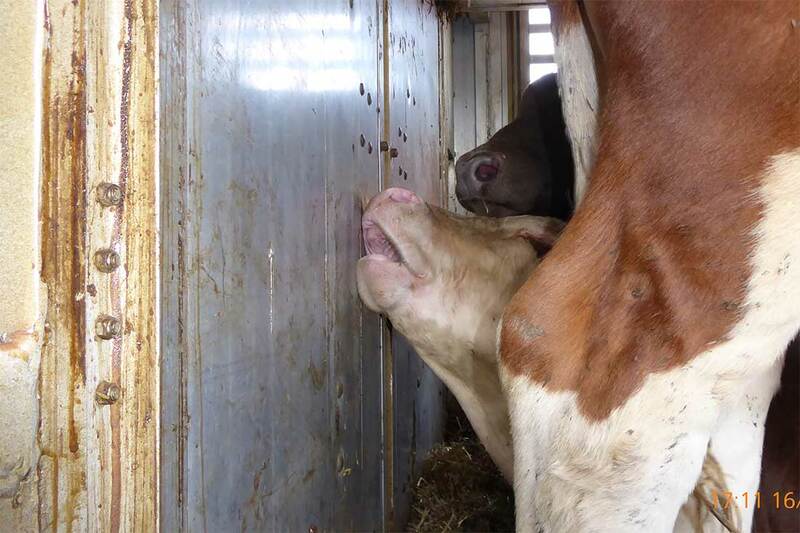 Bedding: If there is too little bedding in the truck, the animals' faeces and urine are not absorbed. Ammonia gases accumulate and irritate their respiratory tracts. Constructional deficiencies: If the partition walls do not close properly to the outside wall or floor, the animals can get trapped in the spaces between them and get injured. 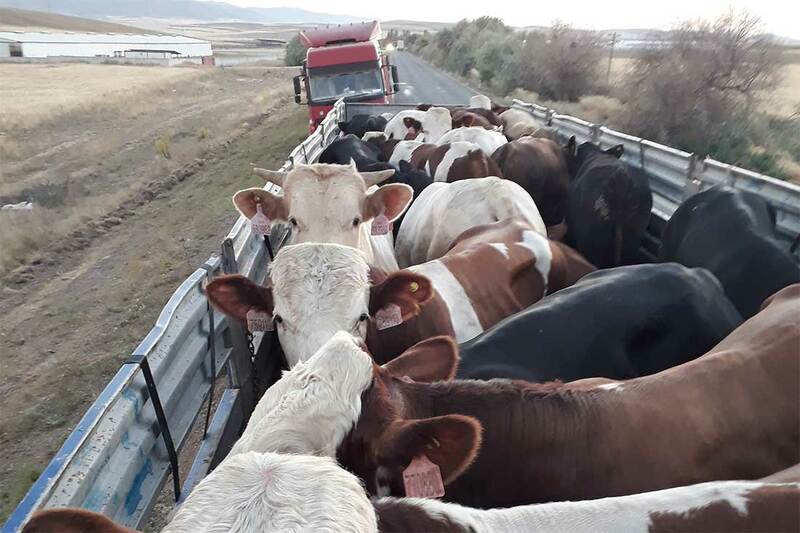 Unsuitable vehicles: These cattle from the Czech Republic are transported from Turkey to Iraq on a completely unsuitable and overloaded construction vehicle. Without a roof they are exposed to the weather without any protection. 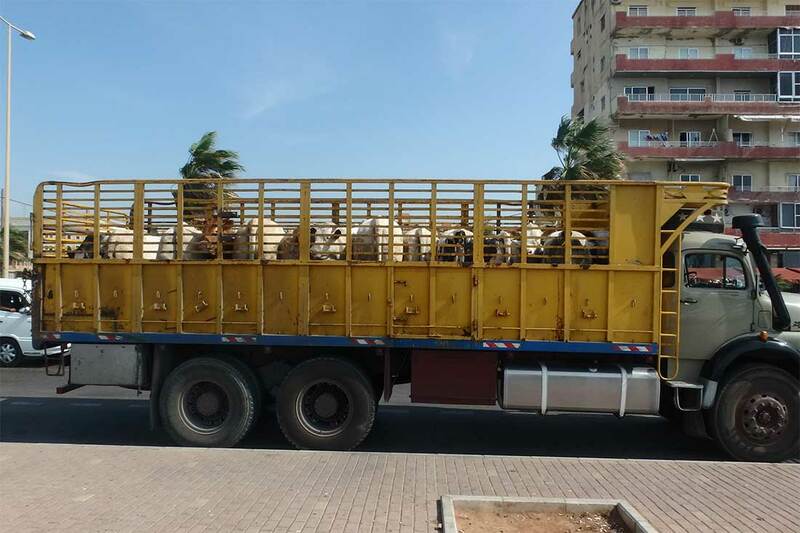 Unsuitable vehicles: In Lebanon, these cattle from Europe are transported on open, completely unsuitable construction vehicles and are exposed to the sun without protection. Delay: Queue with animal transports at the Bulgarian-Turkish border. Animal transports have no priority and can stand here for several days. For years, Animals' Angels has been accompanying animals on their journeys across EU borders. We check and document the conditions on the way, and help the animals on the spot as best we can. In case of grievances and problems, we immediately inform the responsible authorities and try to find practical solutions as quickly as possible. With our complaints, reports and notifications – but also in personal discussions, meetings, lectures and international working groups – we inform the responsible veterinary authorities, control bodies and politicians about the serious grievances on-site and urge them to act. 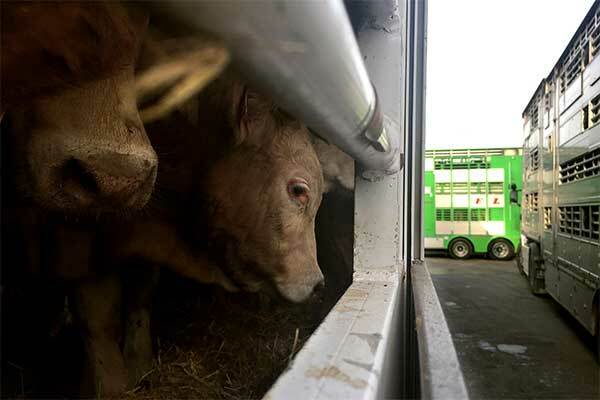 Abolition of live animal exports. Implementation and enforcement of the existing EU animal welfare transport regulation until destination. To address animal protection in the importing countries. Consistent implementation of the animal welfare standards of the World Animal Health Organisation (OIE). 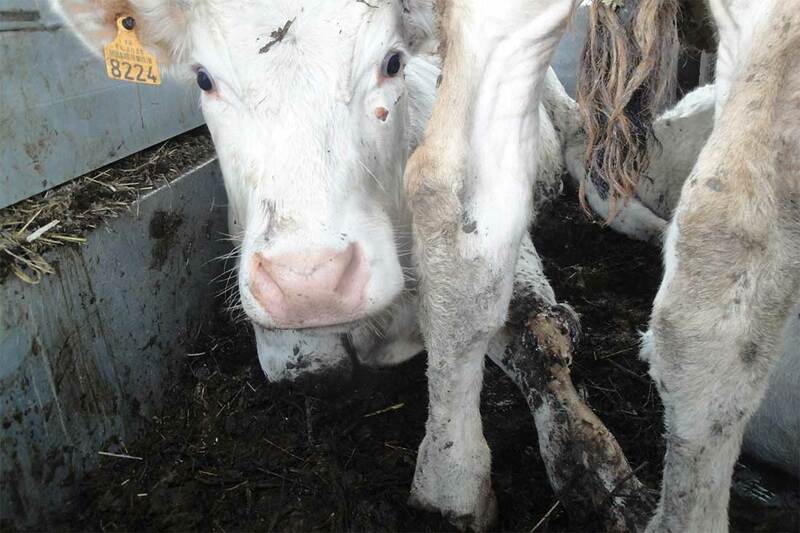 Create more awareness and empathy for 'farm' animals. 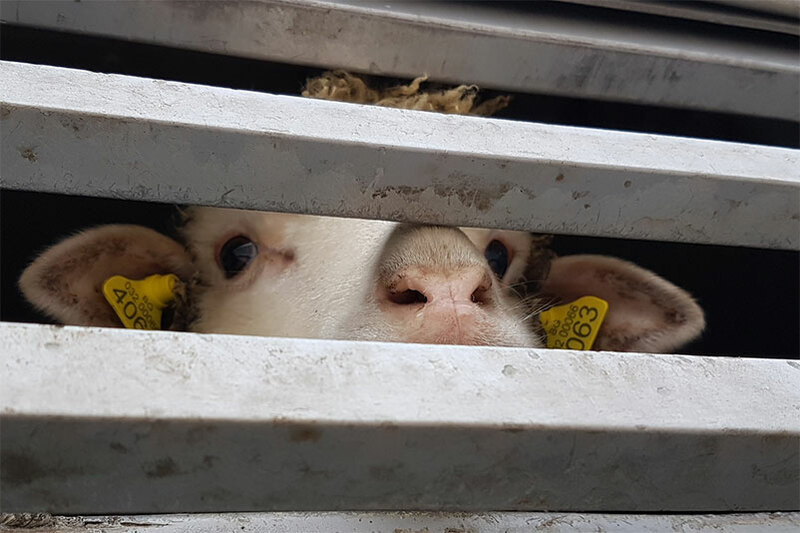 Since 2017, Animals' Angels has been a member of the Animal Transport Working Group of the EU Commission's Animal Welfare Platform, where we actively promote the interests of exported 'farm‘ animals. 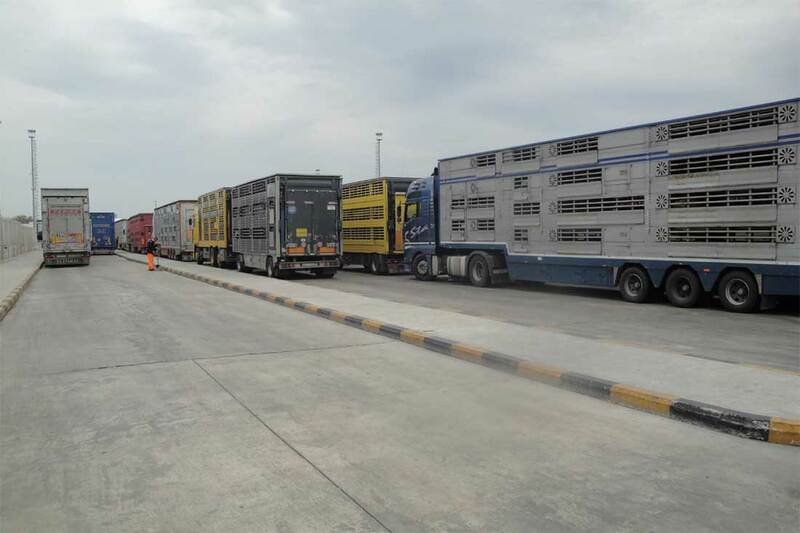 15-04-2019 Animal Transports Created by Animals' Angels e. V.
27-03-2019 Animal Transports Created by Animals' Angels e. V.
In the EU alone, around 3.8 million animals are transported every day. That is 1.4 billion animals a year. All too often these transports take place under cruel conditions. 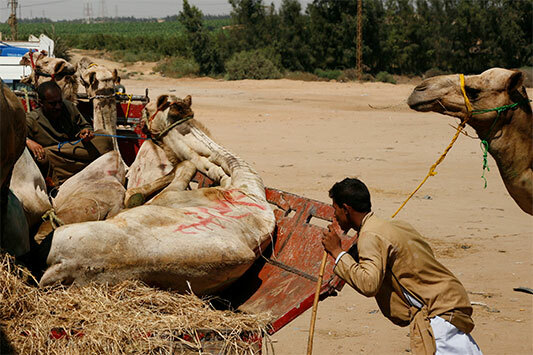 Just like all other 'farm' animals, camels are transported to markets, holdings and slaughterhouses. Their protection plays practically no role. 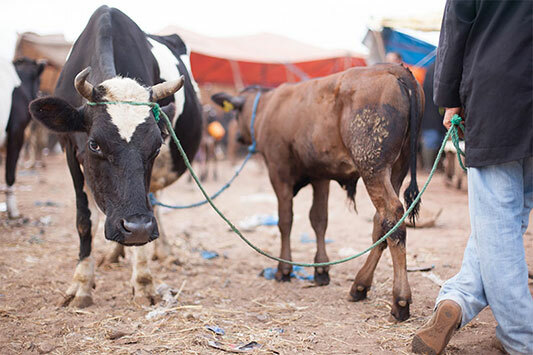 Animal markets inevitably mean suffering and stress for the animals. Animals' Angels takes action against shortcomings and wants to achieve that markets become obsolete. 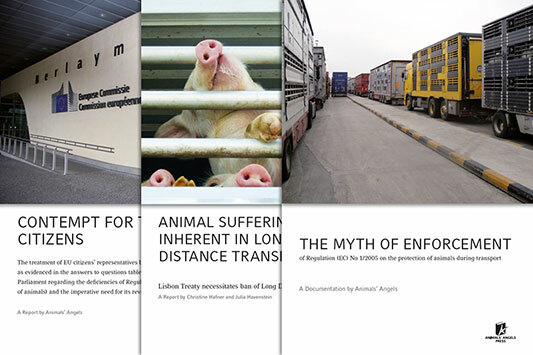 Detailed documentations on our topics: Animal transport, animal markets, tie-stalls and dairy industry.